There are five main treatment agents prescribed for managing the disease that causes cavities. 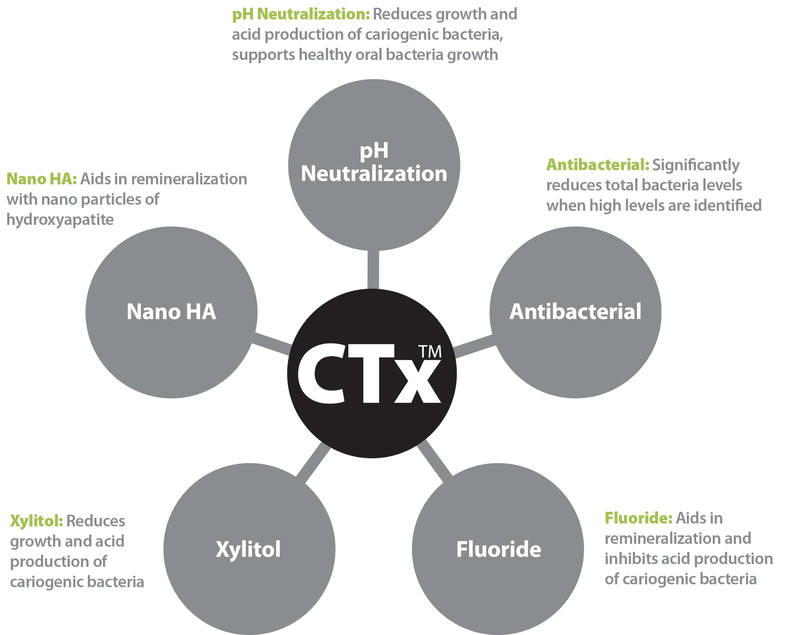 Each CariFree product is designed to provide the specific agents necessary as per each individual patient’s caries risk. The higher the patient’s risk, the higher the recommended level of exposure to the five principle treatment agents.